The Oregon Book Awards and Fellowships honor the state’s finest accomplishments by writers who work in poetry, fiction, drama, literary nonfiction and literature for young readers. Winners will be announced Monday, April 22. His poems, prose and reviews have appeared in Crab Creek Review, Prairie Schooner, The Windward Review and The Bind. 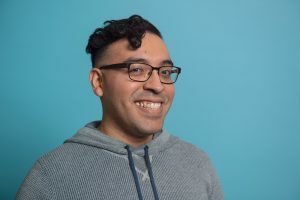 He serves as an editor for Airlie Press as well as the online journal Right Hand Pointing and also runs the Instagram poetry project “poetryamano.” He holds a doctorate from the University of Cincinnati and an MFA from New York University. 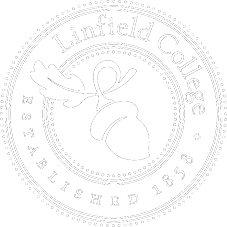 Araguz’s nomination continues a history of statewide recognition for Linfield faculty. Joe Wilkins, associate professor of English at Linfield, won the 2017 Oregon Book Award in poetry for his book “When We Were Birds.” Professor emeritus Lex Runciman earned an Oregon Book Award in 1989. Recent finalists have included Nick Buccola, associate professor of political science, and Barbara Drake, professor emerita of English. This entry was posted in Arts, Press Releases and tagged José Angel Araguz, Oregon Book Awards, poetry, Until We Are Level Again. Bookmark the permalink.